"Among the most inspiring groups of people you will ever meet." Following a private reception, guests are treated to a dynamic keynote presentation by the Walking With The Wounded Team GB (as seen on ITV's Harry's Heroes), a group of wounded ex-service men and women unique in their drive to achieve the impossible and among the most inspiring people you will ever meet. 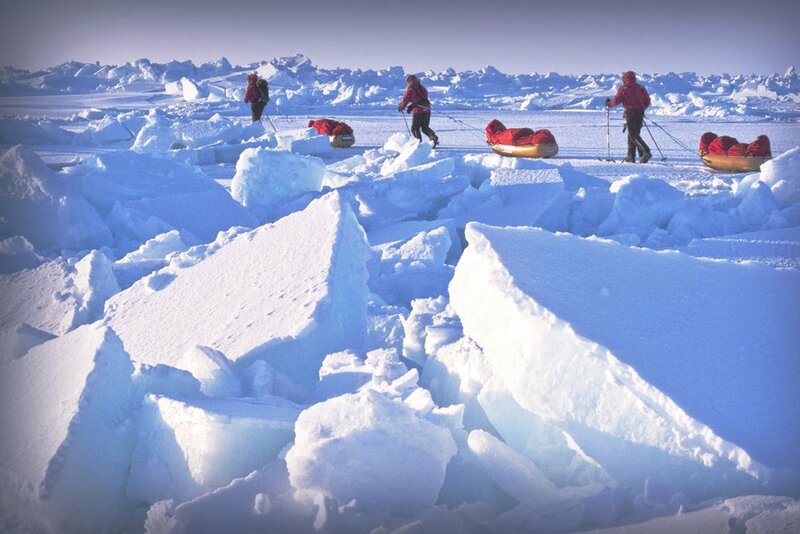 During this motivational masterpiece guests will experience inspirational storytelling at it's very best, as the team relive some of the most gruelling, challenging and amusing moments of their epic expedition to The South Pole. Following this special presentation and audience Q&A, guests will mingle with the team, hear more of their stories and witness the impressive collection of highly specialist expedition kit each member of the team carried with them. A truly inspiring and unforgettable evening. For most of us even running the London Marathon is a challenge our friends and families deem worthy of sponsorship. But the inspiring achievements of Walking With The Wounded Team GB really put things into perspective. Consisting of Guy Disney, Kate Philp, Duncan Slater, Ibrar Ali (with support from Conrad Dickinson, Richard Eyre and Team Patron Prince Harry), this team which successfully made it to The South Pole in 2013, have 4 leg amputations between them. Among them is Duncan Slater, who has also this year become the first double amputee to complete The Marathon des Sables, well known as ‘The Toughest Race On Earth’ – a gruelling six-day, 251 km ultra-marathon in the Sahara Desert, the equivalent of 6 marathons in 6 days, with temperatures regularly reaching 50 degrees. Challenges that are unimaginable, let alone unachievable, for most able-bodied individuals. WWTW is a UK-based charity which funds both the long term re-training and re-education of wounded servicemen and women with the aim of helping them find long term employment after they leave the Armed Forces. The charity stages extreme expeditions to illustrate the extraordinary determination and courage of their injured soldiers, using this platform to draw attention to the need to help these and other young people in their career transition.